From the acclaimed author of Last Things comes a slim, stunning portrait of a marriage--a beguiling rumination on the mysteries of intimacy, trust, faith, knowledge, and the condition of universal shipwreck that unites us all. 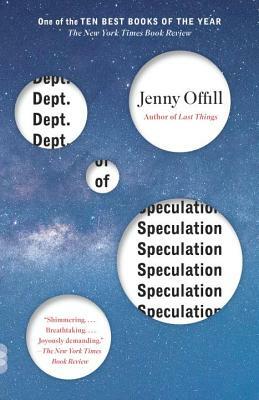 Jenny Offill is the author of the novel Last Things, which was chosen as a Notable Book of the Year by The New York Times and was a finalist for the Los Angeles Times First Book Award. She teaches in the writing programs at Queens University, Brooklyn College, and Columbia University.